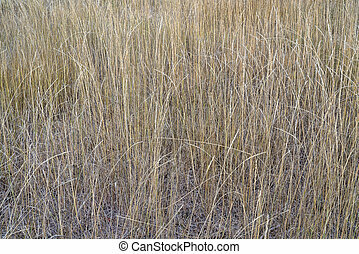 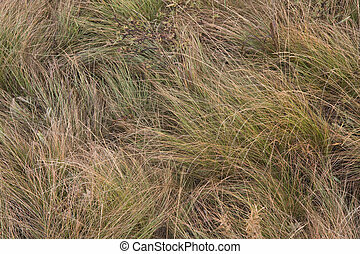 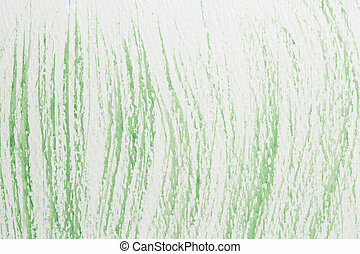 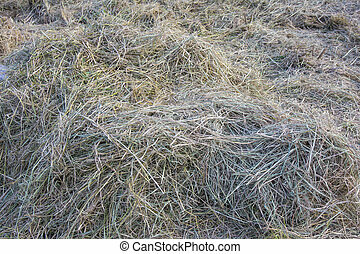 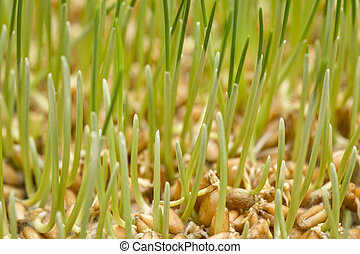 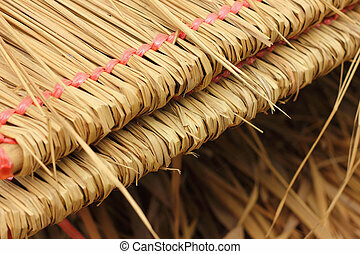 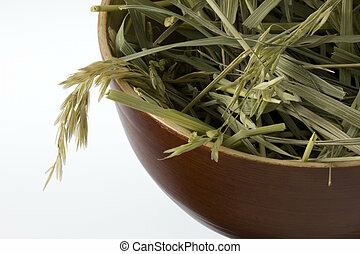 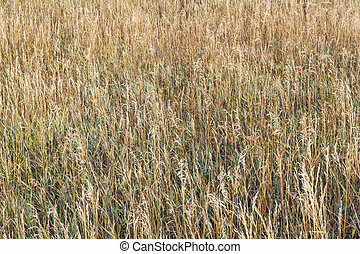 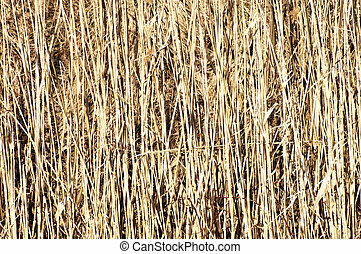 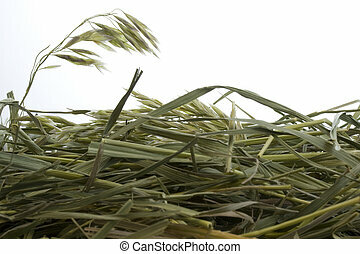 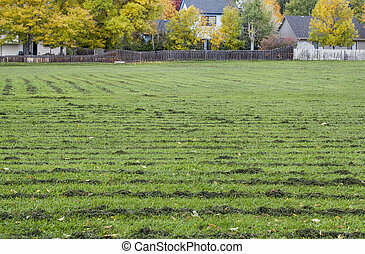 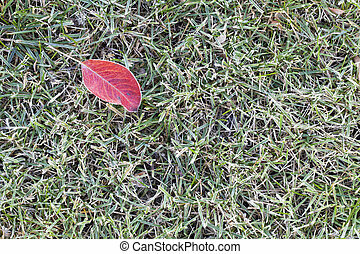 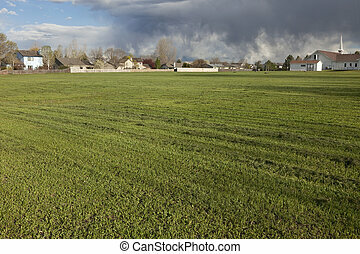 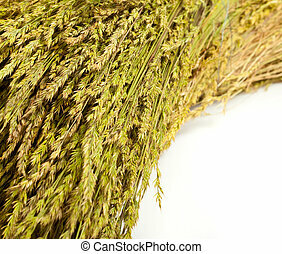 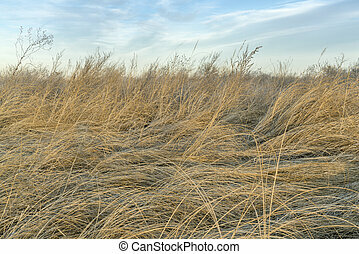 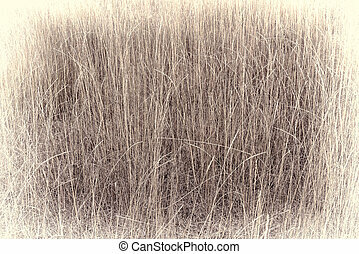 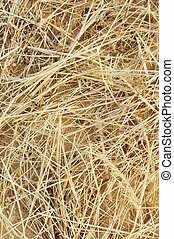 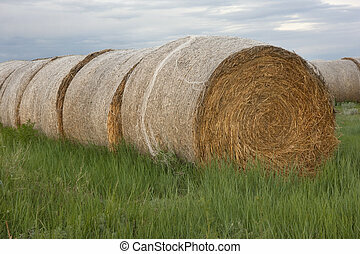 Grass hay background. 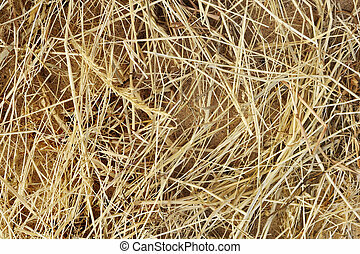 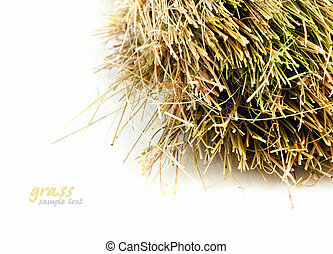 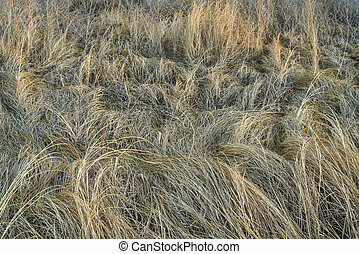 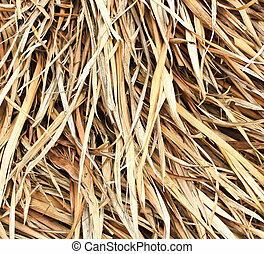 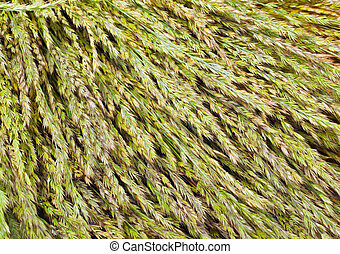 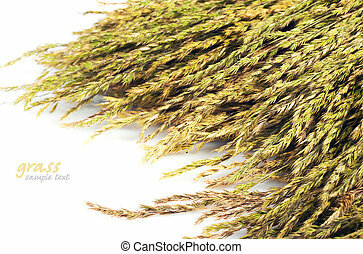 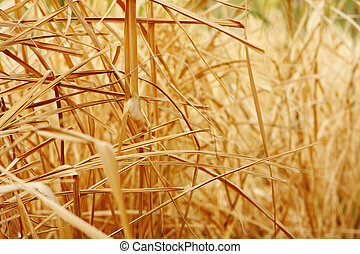 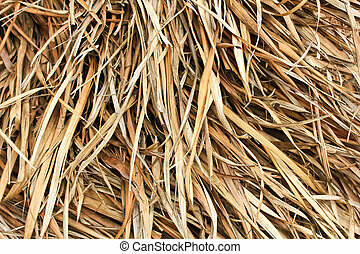 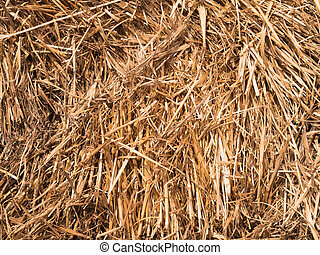 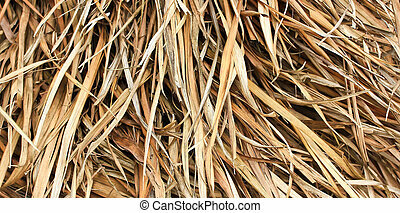 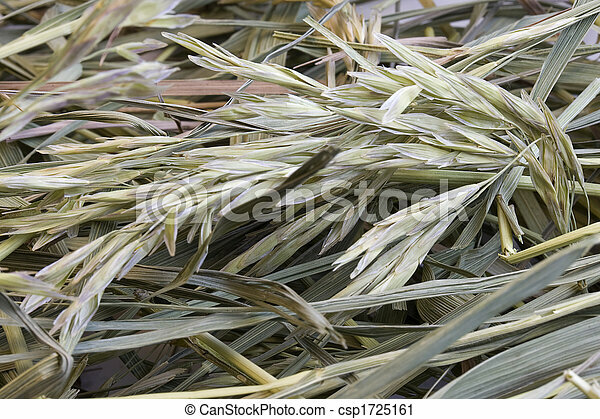 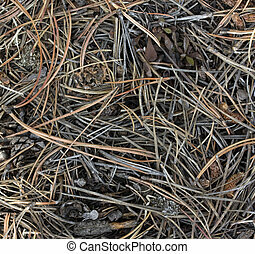 Dried hay with a variety of grasses - abstract from a haystack. 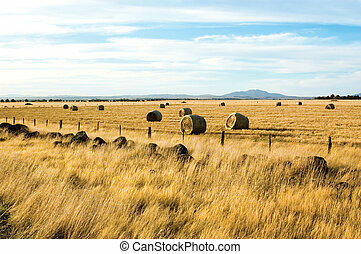 Round bails of hay scattered around the farm paddock.